Spring Valley - Emergency personnel responded to a report of an overturned truck in front of 24 Paiken drive. First Hatzolah unit that arrived to the scene advised the dispatcher that the driver extricated himself and there is no need for an EMS response. 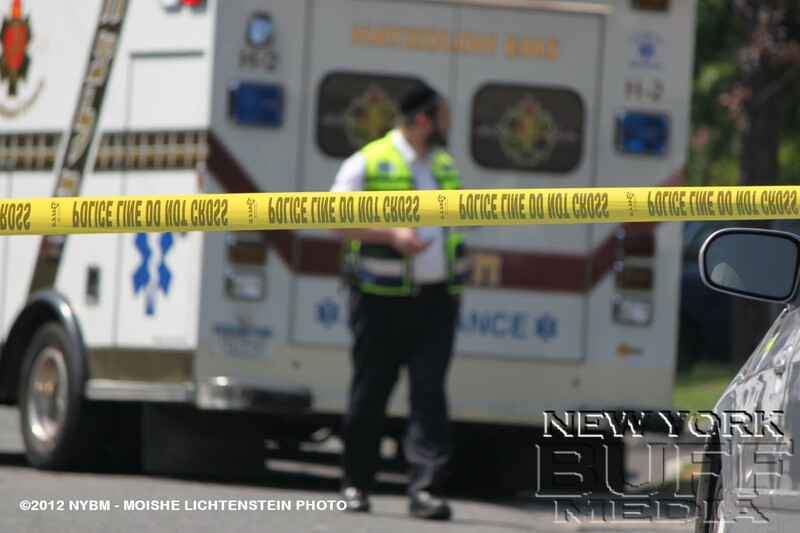 The driver refused medical assistance from the Hatzolah paramedics. A neighbor that lives right across the street where the incident happened, tells NewYorkBuffMedia that she saw that this is going to happen. "The driver was coming up from Maple avenue" says Mrs. G. "The back of the truck was open when it went straight for the electric wires over the street, the wire were torn down and he lost control, then flipped over". The Spring Valley fire department were called to secure the scene, and Spring Valley police controlled the traffic. Orange & Rockland utility company were called to the scene for the downed wires.